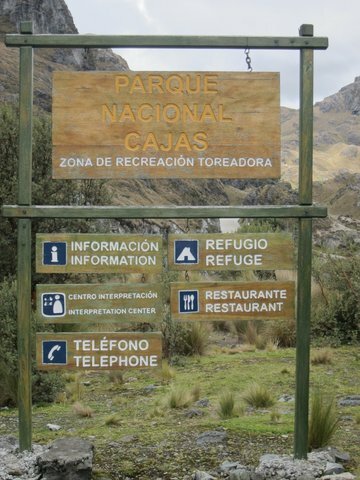 For those visiting Cuenca, I highly recommend Cajas national park. 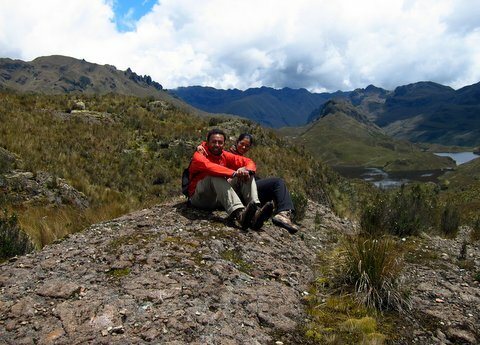 Its just outside Cuenca, but offers excellent hiking and takes you a world apart. At the park entrance, you pay the fee and the park ranger will give you an excellent map and show you what hikes are available. 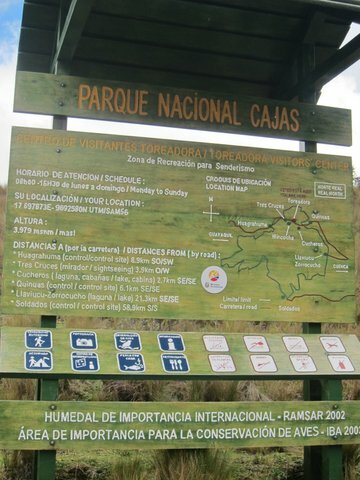 The trails are very well marked and the scenery is simply beautiful. 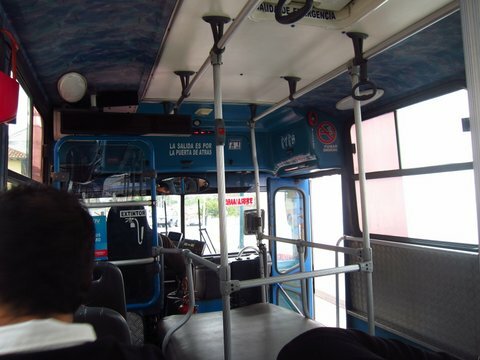 Get on a bus going to Guayaquil. 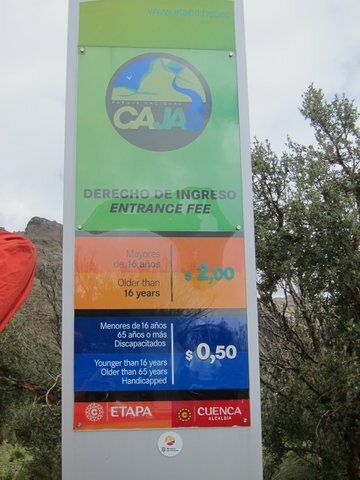 It costs $2 per ride, even though its only 1/2 hour per ride (its roughly $1 for every one hour of bus rides) to get off at the entrance to the park. $2 entrance fee for maps and trash bag. Restroom facilities can be used here. 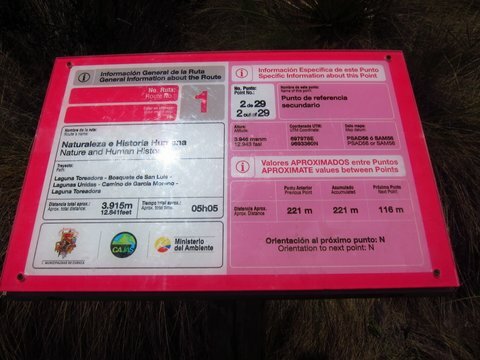 We walked the pink route which is clearly marked. This is a scenic and easy route. We packed our lunches at the hostel and stopped for lunch. 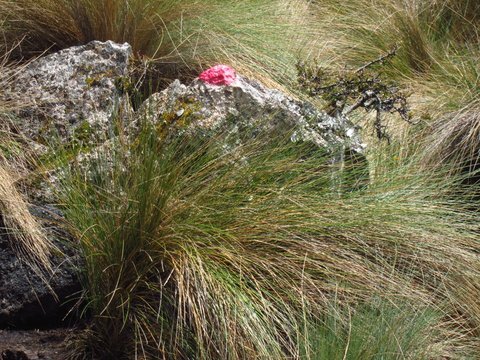 Eventually you will hit the road back to Cuenca – flag any bus heading back and climb on. As easy as that! 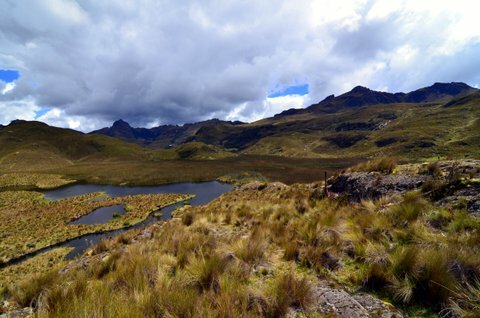 El Cajas is beautiful and has a surprising mix of landscapes. Gentle meadows with creeks flowing through and stark mountain vistas abound.